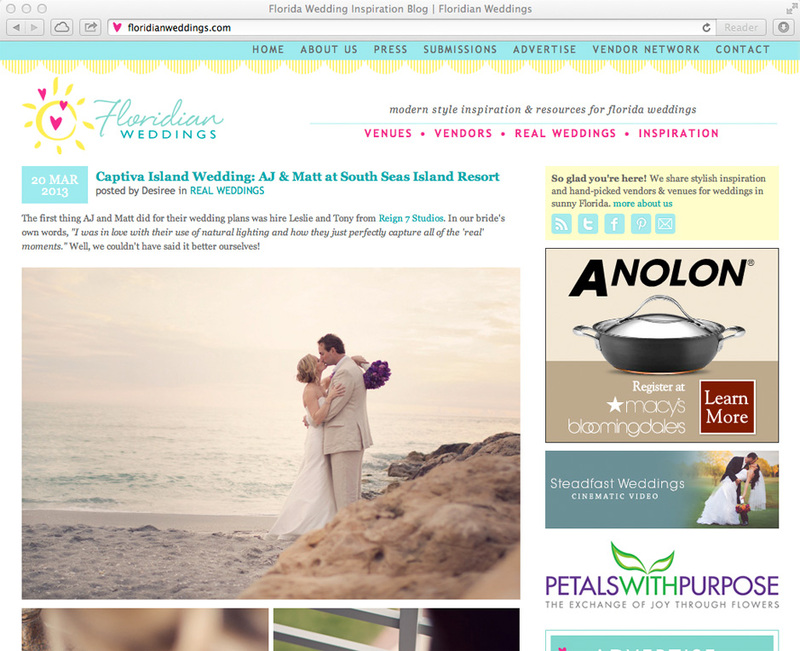 We were totally stoked this morning when we saw the E-mail from Desiree at Floridian Weddings giving us the heads-up that AJ & Matt’s wedding was published today!! Some of you may remember AJ & Matt but for those of you that don’t, here’s a fresh look at their beautiful Captiva Island Wedding at the South Seas Resort! Hope you enjoy their story as much as we do!